65% of the mobile market share is taken over by Android. Give your business an Android mobile application and expose your business to a whole new market and target audience. You can also have your back office application created on the Android mobile platform so that your business operations continue anywhere, anytime. 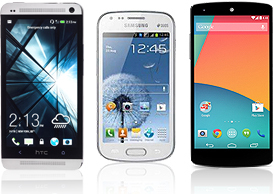 Feel free to contact us or have a friendly chat with us to see how we can help you with an Android mobile app. Another mobile app which rules the market is Apple iOS particularly when it comes to market share in the mobile application market. It is especially widely used in developed countries. 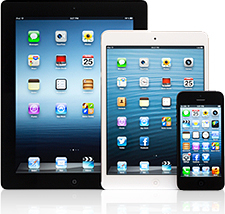 ITSec offers you custom app development on the Apple iOS platform, helping you with publishing and launching your app in the marketplace. Feel free to contact our supportive customer representatives to find out how we can help your business flourish. Though the market share for Windows and Blackberry is small after Android and iOS, it is still in demand. 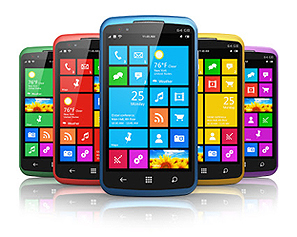 After Windows 8.1 version, Windows demand is growing and more Windows platform mobile devices are seen in demand. Following the launch of Windows 10 this market will only grow further. Feel free to contact us or have a friendly chat with us to see how we can help you.